« Need a Little Reading Material in the Bathroom? ?? 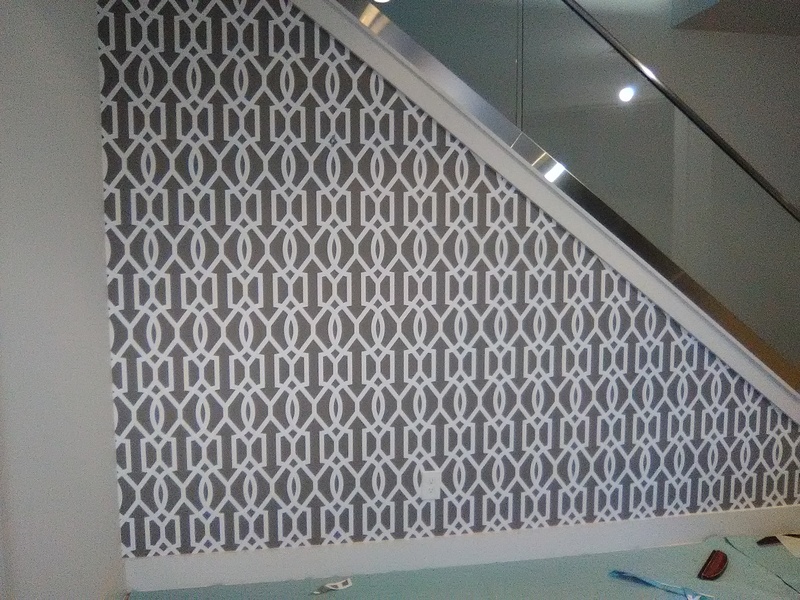 The owners of this newish contemporary-styled townhome in the Montrose neighborhood of Houston wanted to put some impact into their entry by using wallpaper on the first wall you see when you walk in – the sloped wall in the top photo. 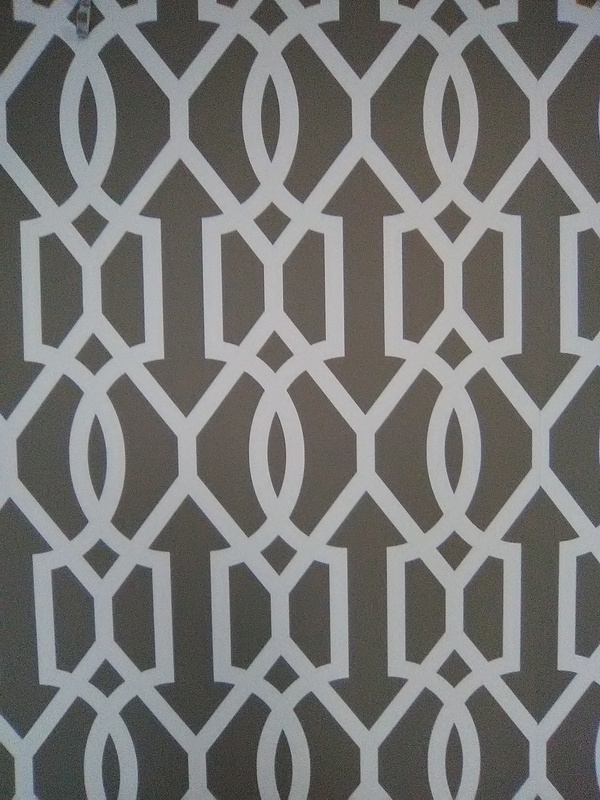 They have some antique furniture and a special piece of art that sit in front of this wall, so chose this very classic trellis pattern in a warm cream-on-brown colorway. 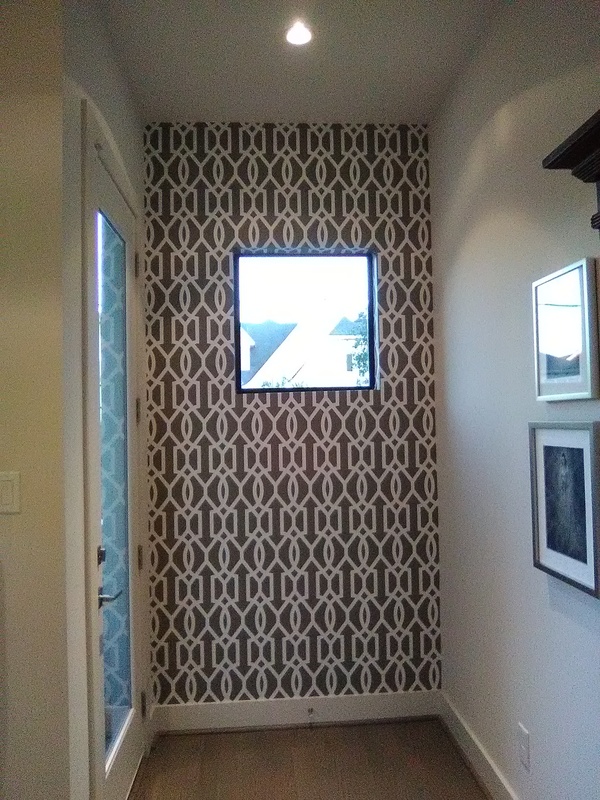 They were initially considering putting paper on the backs of bookshelves in the upstairs living room, but as I walked up the stairs and saw this one recessed wall directly in view, I suggested this as a better spot for a wallpaper treatment. The home owers quickly agreed, and decided to use the same pattern here. 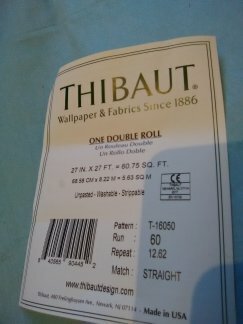 The manufacturer of this very old and historic design is Thibaut. This entry was posted on November 3, 2018 at 9:41 pm and is filed under Uncategorized. You can follow any responses to this entry through the RSS 2.0 feed. You can leave a response, or trackback from your own site.